Our friends over at the Resurgence headquarters have been involved in the motorcycle world for years and years. In 2013 they created Resurgence Gear developing their own abrasion-resistant material called PEKEV, which tests have proven to be twice as strong as Kevlar. 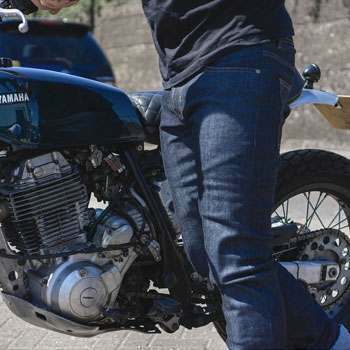 On top of that, they create some of the nicest denims we've seen on the market so far: their jeans just have the right cut and are extremely comfortable to wear, on or off the bike. 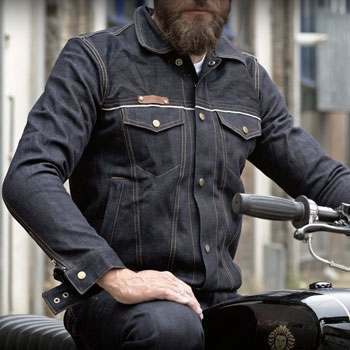 Slim fit raw selvedge denim ladies jean, with Pekev inner lining and D3O armour included.